I have some great news! This week, I sold my first ever piece of art! It was a commission for a friend, and she was more than generous in her offer for my skills. I can’t show you the piece I sold, but I will show you what I bought. My partner and I always agreed that any money I earn doing art should be invested into art supplies, and I certainly lived up to that. In hopes of future commissions, I bought a large pack of artist quality pencils, which will assist in furthering my art skills. I put off buying expensive supplies, as I wanted to be sufficient enough to feel I’ve earned them. Selling the piece of art was my first set of proof to myself that I earned a level up in my supplies. 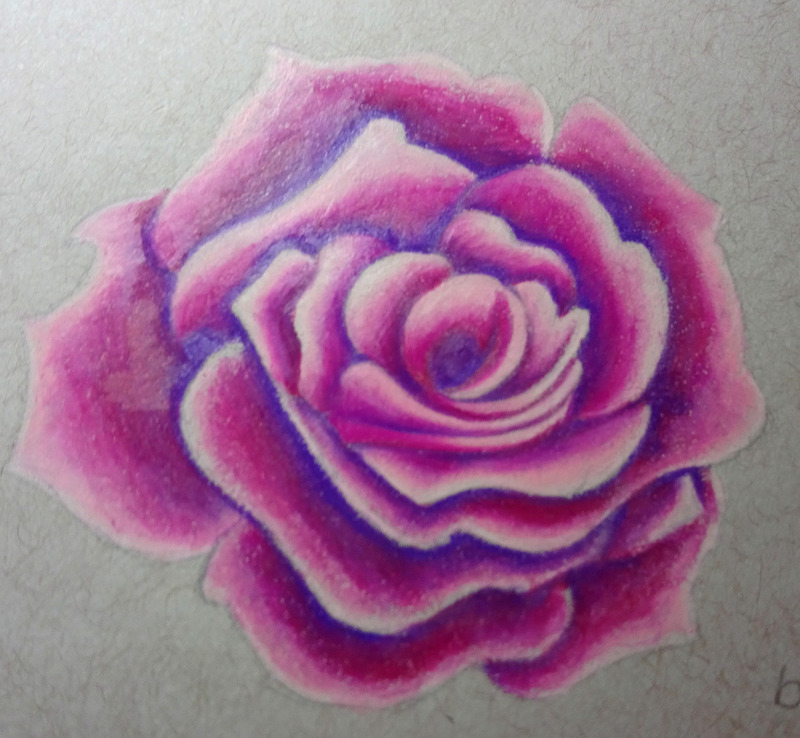 I am still getting used to the high pigment and easy blending of the pencils, but it is certainly a nice change. 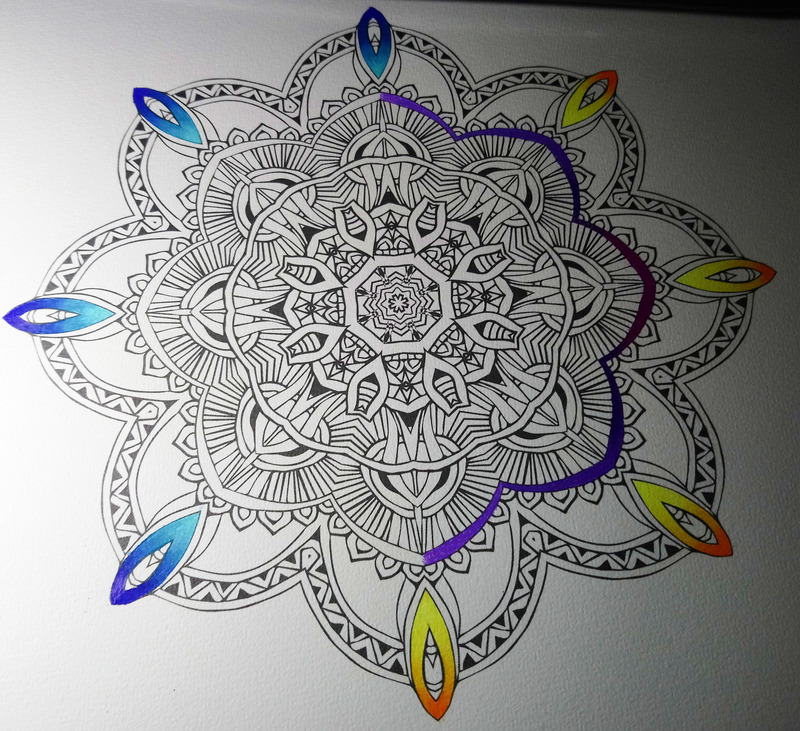 Along with the pencils, I recieved a free mandala colouring book. I usually wouldn’t use high quality pencils for colouring, but this book has thick, textured drawing paper, which was ideal to try my new pencils on while I was thinking of things to draw. 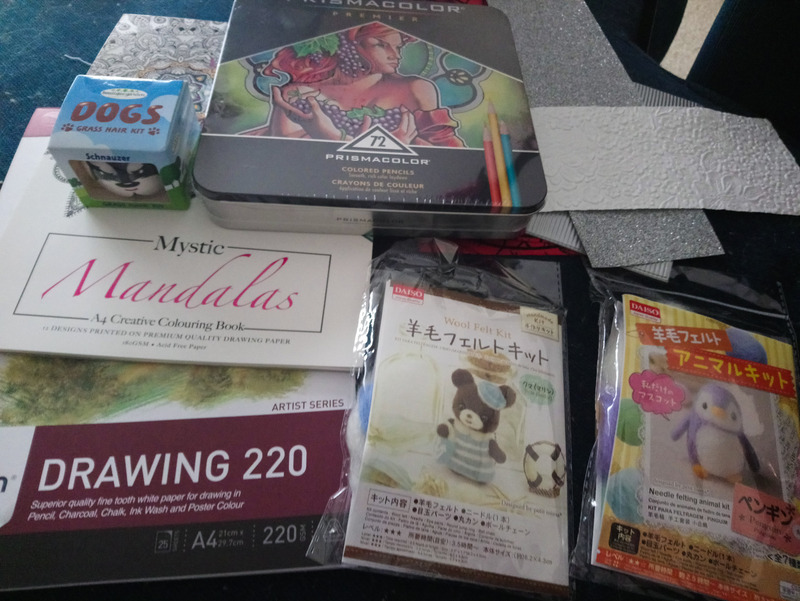 I also picked up some Canson drawing paper, for special pieces of art I want to do, a colourless blending stick, to go with the pencils, a potluck paper pack, two needle felting kits, and a grass growing kit for my cats. This journey towards being an artist that sells art been exciting, scary, happy and exhausting, but I am eager to keep going, even if I take it slowly. Art is my passion, I’m going to do it regardless of whether it takes me places. I art, therefore, I am.